From US 11 northbound. VA 261 is no longer posted. It has been taken over by US 11 Truck. Photo by Mapmikey, taken January 26, 2006. From VA 261 southbound (Coalter Ave right behind me). VA 261 is not posted on its solo portion either. Photo by Mapmikey, taken May 27, 2006. 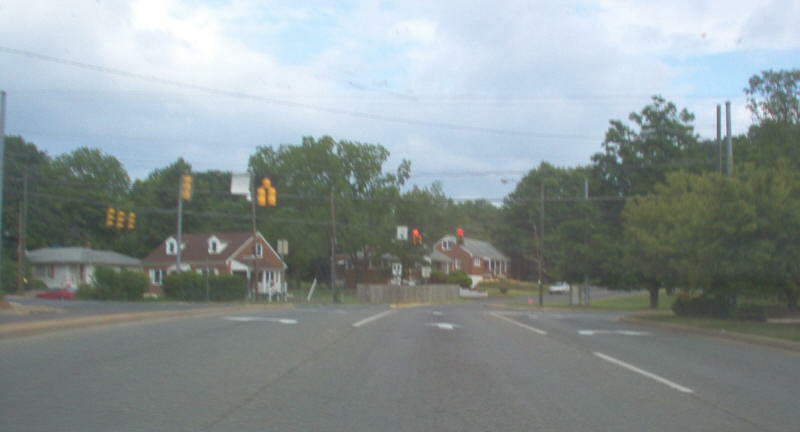 VA 261 northbound approaching Coalter Ave, which was once US 11 ALT long before VA 261 existed. Photo by Mapmikey, taken May 27, 2006.